This product has 3 styles, all of which are 600ml. It is made of high borosilicate glass at high temperature, and the inner screen is 304# stainless steel. 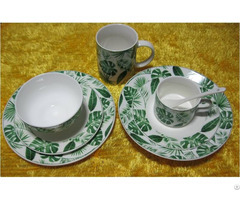 Can be used for household goods, gifts, leisure goods and so on. This is the flame can be used for heating, it is recommended to open fire heating is good, not recommended fire, mainly afraid of fire, the glass heating will make the hand hot. It must not be burnt dry. Posted By: Chaozhou Chaoan District Rongbiao Hardware Products Co., Ltd.
Business Description: The company is specializing in the production of stainless steel products, plastic (ceramic, purple sand) products, glassware in the integrated enterprise, is now production and sales of multi brand tea cup series products, its beautiful, practical, quality and popular in the market, by consumers close to the narrow. The company has a pioneering and innovative concept of modern enterprise, will continue to exquisite workmanship, exquisite style, excellent quality, careful service, indulge in interpretation of domestic and foreign tea cup field classic. We sincerely welcome domestic and foreign customers to visit and negotiate cooperation company.